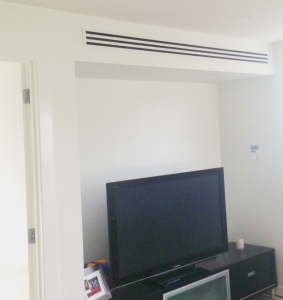 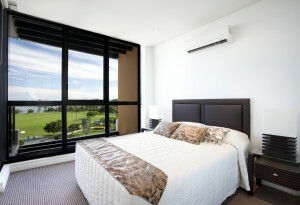 The wall hung split system is a wall mounted air conditioning unit. 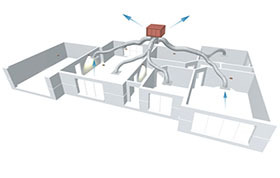 This system is operated by refrigerated gases and is designed to cool or heat one room. 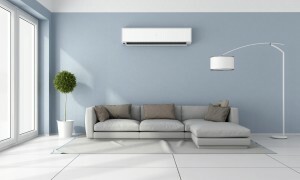 Refrigerated gases cool or heat and eliminate moisture in the air, while its filter eliminates dust and reduces house mites and pollens, reducing allergy and asthma symptoms. 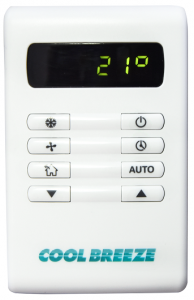 Inverter technology gives optimal efficiency and running costs, while maintaining a consistent temperature with less wear and tear on components. 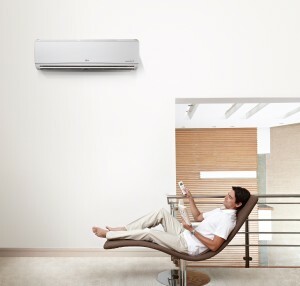 Multi Split System is an advanced air conditioning system, able to operate at different temperatures and fan speeds in individual rooms, while using only one outdoor unit to heat or cool up to 8 individual indoor units. 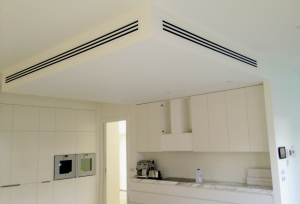 Multi Split System operates the same as single wall hung systems, through refrigerated reverse cycle technology, offering wall mounted, cassette, bulkhead & gallery type applications depending on your requirements. 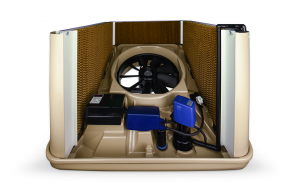 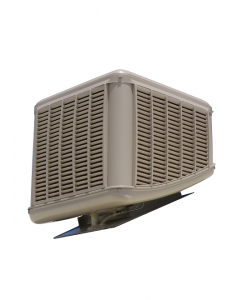 Evaporative Cooling system is the most cost effective and quietest way to cool your home. 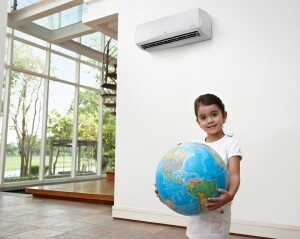 This is an environmentally friendly system that maximizes energy efficiency and minimizes expense to your pocket.